BMW India announced the appointment of Libra Autohaus, its third dealer for Delhi NCR. Libra Autohaus is operational at Naraina Industrial Area in New Delhi, where customers and prospects can experience the most aspirational BMW product range. The dealership is headed by Mr. Manreet Singh Libra, Managing Director, Libra Autohaus. Since its inception, BMW has created luxurious dealerships across key markets in India. BMW dealerships are just not sales outlets, but a place that offers our customers a complete and immersive brand experience. We are very excited to further strengthen our presence in Delhi NCR region with the addition of our third dealership – Libra Autohaus to offer our fascinating products and services. The facility further reiterates our firm commitment to serve our customers with the highest level of enthusiasm and passion. 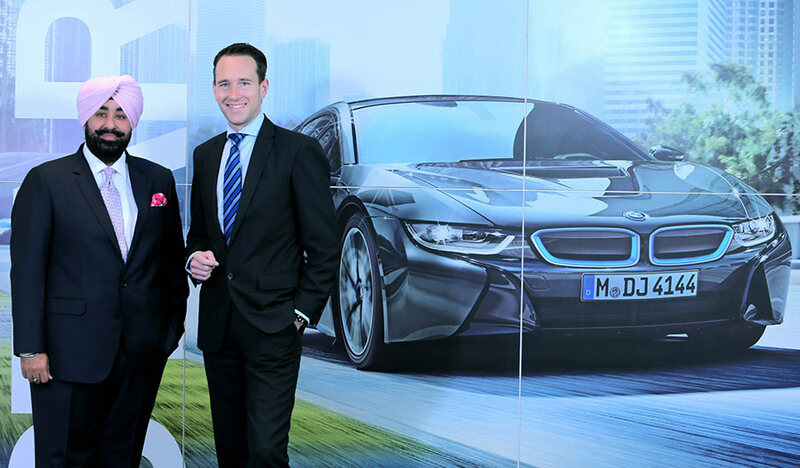 We are proud to partner with BMW India in setting up a world-class dealership here in Delhi. The culmination of the most aspirational products and an unrivalled dealership experience focused on creating customer delight completes the circle of ‘Sheer Driving Pleasure’. Libra Autohaus will be instrumental in offering the renowned BMW experience to customers. We aim to tap the rising luxury car market potential of the city and serve our growing clientele with great passion. The design of the showroom is based upon Urban Street Display concept which is a signature BMW layout with two sales lounges close to the display area. The showroom has a 5 car display indoors including a special display area for featuring high-end cars. In total, Libra Autohaus will have a capacity to display 10 cars. The lifestyle section showcases premium BMW accessories available for sale to customers and BMW fans.